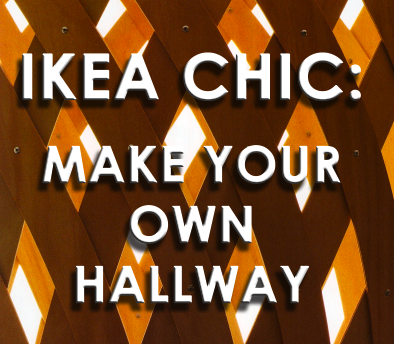 4 Responses to "IKEA CHIC: Make your own hallway"
ooh, great post & good pics. Stealing this idea!!! 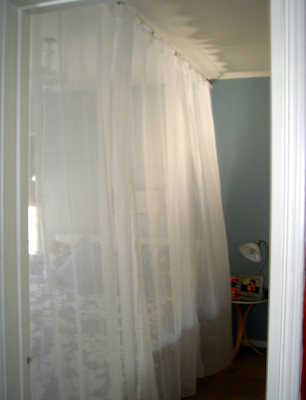 I live in a loft and you enter in the "bedroom." The upside is it forces me to make my bed everyday. But, you don't always want people to see the bed first. 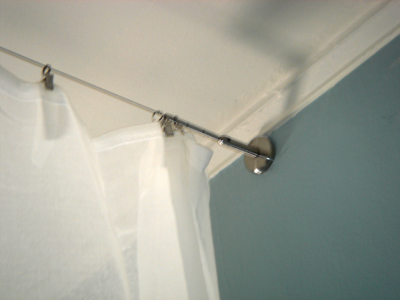 is any of the hardware penetrating the ceiling? i can't really tell from the pic. 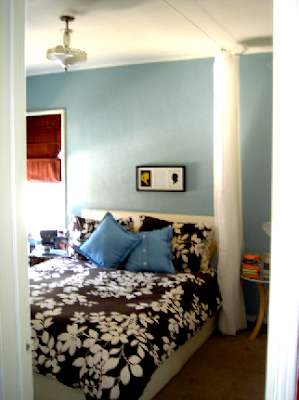 we live in a condo and can't go through the ceiling but i'm dying for a canopy bed look.